Those of us alive in 1948 will probably remember the excitement of the setting up of the NHS. 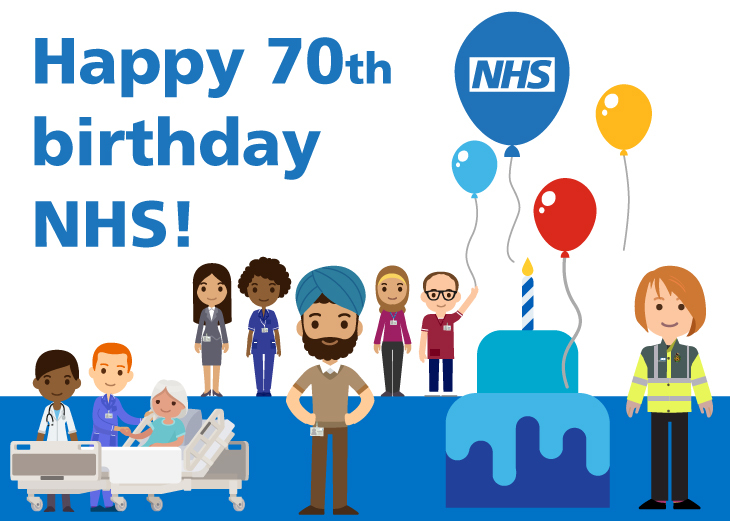 There were lots of doubts and worries at the time, but within a few years everyone realised that this was a service which we couldn’t do without, and it wasn’t long before our NHS was the envy of the whole world. Back in those early days most of us could get to see our own GP within a day or two. If we needed referring on to a hospital department this happened quickly (even without modern electronic systems) and if we needed a bed for treatment, they seemed to find one quire soon. They tended to keep us in there for rather a long time, but convalescent homes were numerous if we needed a bit more care before going home. Our generation has grown up trusting and loving our NHS. What has happened recently? We have talked about this a lot in our Health and Social Care group. · The NHS has helped to give us much longer lives on average, so we need health care for longer than earlier generations. ·Huge advances in medical research have produced treatments which cure or control all sorts of conditions which used to lead to certain death. · Far more premature or disabled new born babies are saved but often need continuing health care for the rest of their lives.All of these factors mean that not only is our population increasing, but many of us need quite a lot of health care. The trouble is that successive governments have not taken this properly into account. The result is too little money in the NHS to meet its needs and far too few doctors, nurses and other health professionals. There is considerable concern amongst us that the NHS wastes a lot of money with massive admin costs, and too many separate health bodies in each locality, each with a big admin section. We want the government to allocate a lot more money to the NHS every year. We want all universities with courses for doctors, nurses and other health professionals to increase their intake of students. We may lose a lot of foreign staff after Brexit, and there are huge shortages already. We were very upset when the government started charging nursing students for their training which had always been free. We want there to be a detailed scrutiny of the management, both nationally and locally of NHS services. How much money is being wasted here? The huge waiting times to see a named GP and to get referrals to hospitals must be tackled, and quickly. LET’S ALL FIGHT TO SAVE THE NHS WE LOVE! Which supermarket shall we go to today dear?